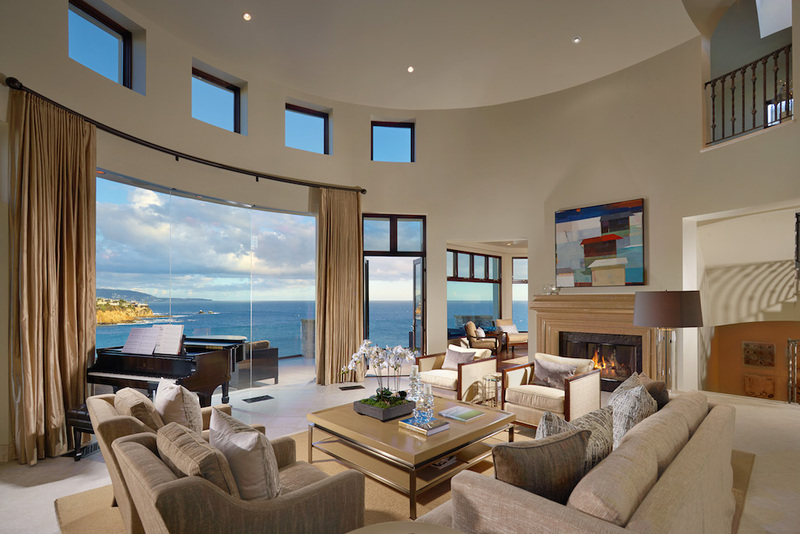 on-market sale in Emerald Bay. Prominently positioned on the prestigious peninsula above the golden sand of Emerald Bay’s coveted private beach, the vast Pacific Ocean sprawls out beneath you. This magnificent oceanfront estate invites you to savor boundless views stretching down the alluring California coastline and extending beyond Catalina Island. Soaring two-story ceilings, an abundance of large windows, and skylights allow natural sunlight to flood each open living space, inviting you to bask in the relaxed coastal ambiance. The open floor plan was meticulously designed with every convenience for modern living. 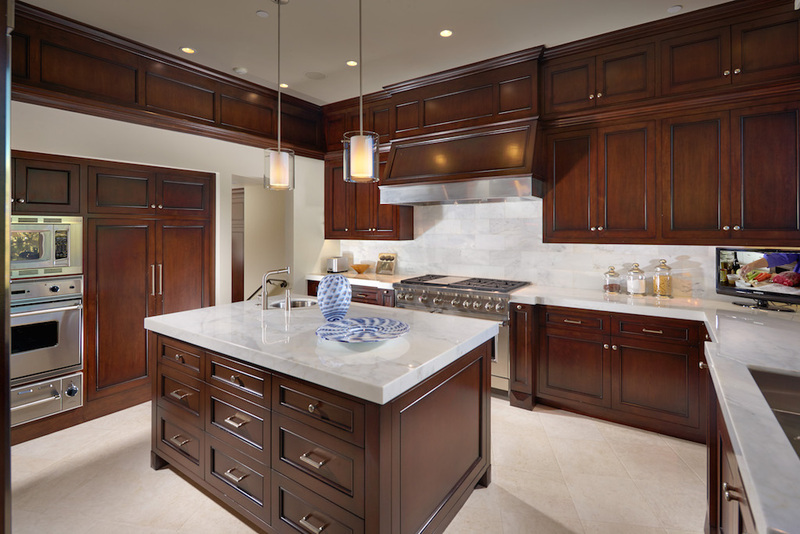 A state-of-the-art kitchen offers designer appliances, Calcutta marble countertops, custom cabinetry and a grand kitchen island. In the master retreat, dual sets of French doors offer access to two separate private balconies overlooking the inviting waters below. Whether reading in the stately office, indulging in the media room, or hosting casual events in the family room, each space within this estate offers an intensified luxury experience. 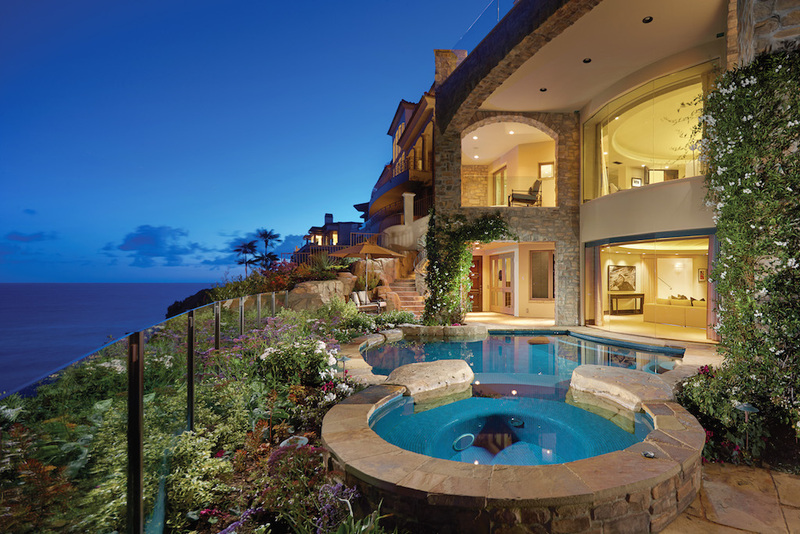 A sparkling pool and soothing spa are perched on the bluff with direct ocean exposure, providing the ultimate opportunity for taking in countless color-saturated sunsets and the twinkling city lights of Laguna Beach. Looking for more than stats?